According to research firm IDC, the launch of the iPhone X in November 2017 has helped iOS reclaim the lead from Android as Australia’s favourite mobile platform, and this is despite the comparatively lower sales figures for the device. After leading the market in Q2 and Q3, Android had its crown stolen in Q4 by a predictably rebounding Apple, whose Q4 smartphone sales typically rise after the release of new iPhones. The firm estimates that 1.76 million Apple devices were shipped to Australia in the last quarter of 2017, accounting for 56.2% of the market share, the company's biggest quarter on record. On the other hand, only 1.37 million Android handsets were shipped in Q4 of 2017, making up just 43.8%. That’s down from 44.6% for Q4 2016, with Samsung leading the Android pack despite the South Korean company’s share dropping to 15.4% in Q4 2017 from 24.6% in the previous quarter. 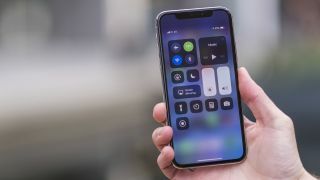 "Riding on the back of the very successful iPhone X launch, the tables have turned, and iOS has not only returned to the top, but stretched its lead," said IDC’s senior market analyst Bilal Javed. However, the Australian mobile phone market actually exceeded expectations overall, with a total of 3.36 million units shipped in Q4 2017, a year-on-year growth of 15.7%.